Amy E. Robertson is a Seattle native who has long been obsessed with travel. She studied in Boston and Madrid for her bachelor’s degree, and upon graduating took a job with an international consulting firm. This position led Amy to a life of globetrotting — she traveled to more than 50 countries in less than three years. She then returned to school, earning a master’s degree in development studies at the London School of Economics, where she also met her husband, who hails from Italy. After working in international aid for five years in New York City, Amy and her family began life as expats in Ecuador, brought there by her husband’s job with the United Nations. 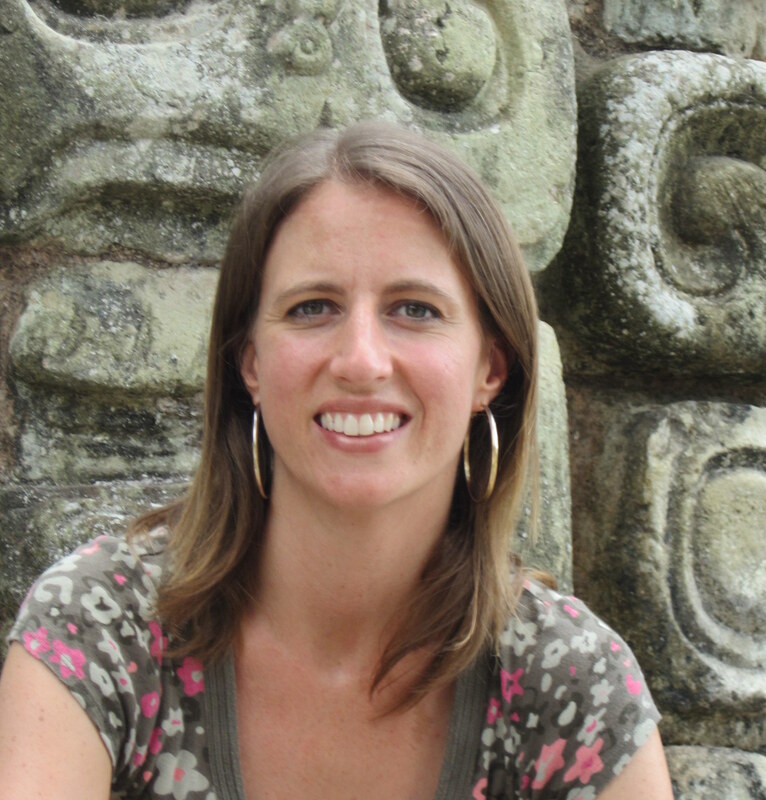 While in Ecuador, Amy made the career switch from development to travel writing, a livelihood she continued when she and her family made the move to Honduras in 2007, and on to Beirut, Lebanon in 2012. Her writing has been published by Eater, NPR, Vice MUNCHIES, Budget Travel, Delta Sky, National Geographic Traveler, Wall Street Journal, Christian Science Monitor and Travel + Leisure, among others. She is the Connected Traveler Contributing Editor for the website TransitionsAbroad.com, and an ambassador for GivingWay.com. She also provides content marketing material for clients in industries related to her interests and expertise. Since Amy often has her kids tagging along when she travels, as well as her husband whenever he can get away from the office, not to mention her parents, her mother-in-law, and other random relatives as they are able, family travel is of particular interest to her. Other passions include volunteer vacations (Amy wrote a book on the subject), food and wine, books and culture, sustainable tourism, and the kind of travel that enables her to connect to the communities and cultures she is exploring. When not writing about travel, Amy helps others with their writing, providing report editing and proposal writing services to non-profits and international organizations. After 13 years overseas (Ecuador, Honduras, Lebanon), Amy has returned to New York, although she visits her family’s hometowns — Seattle, Rome, and Messina, Sicily — as often as she can. She is also currently working on a novel for young adults, about discovery, self-knowledge, and of course, travel. In general, ways to help depend on your skill set, and having Arabic language skills would be a big plus. I suggest looking at http://www.idealist.org and http://www.daleel-mandani.org for organizations working in Lebanon and contact the ones working here that you think might be able to utilize your skills. You’re a cool lady, Ms. Robertson! I love reading your writing. Hi Amy, your NPR article “Smør Bullar: The Classic Danish Christmas Cookie No One Has Heard Of” turns out to be the exact same recipe as Mexican Wedding Cookies AND Russian Tea Cakes. So as for a cookie no one has ever heard of this one is pretty diverse! Thanks for reading! Most of the Mexican wedding cake recipes I saw used almonds instead of pecans, and a Mexican friend said she uses almond extract and no nuts at all! I saw “Russian” recipes with walnuts… Many of Greek versions add a little brandy. Definitely all the same base! I just finished reading your article about snowballs, as my family always called them. You piqued my interest because I grew up in Burlington, there in Skagit County, and snowballs were always my most favorite Christmas tradition. My Grandma, my mom’s mom, always made a bunch, and would bring an extra big bag of extras to our Christmas day gathering mostly because I could never stay out of them. Just the sight of them makes me feel all those memories over again. She meant the world to me. I was always very close with her, and miss her everyday. Especially at this time of year. I haven’t had a snowball since she passed. I guess they just are too associated with her, and I haven’t had the heart. After reading your article though, I think it’s time to honor this tradition and share snowballs and all their deliciousness with my little children. Thank you for writing such a nice tribute to such a meaningful treat. As you could see on the church cookbook, my grandma was from Burlington- our grandmothers probably knew each other! I hope your children enjoy these cookies as much as my family does, and Merry Christmas to you as well! I just read your article on NPR about butter ball cookies. My family is Italian-American and almost everyone lives in Rhode Island. Butter balls have long been a holiday cookie in our family as well- exactly as you described them in your article! They are also very popular in Rhode Island where there is a large Italian-American population. We always thought they were an Italian cookie! What a mystery! Just read your NPR article on butter balls and then laughed really hard when you said you’d be in Italy and wouldn’t get them. You’ll have to let me know if you find them as snowballs there. Cookies are an American thing in general – these cookies are called many things like Russian teacakes, Italian wedding cakes, Mexican wedding cakes, etc. Wonder if you dig deeper you’d find they’re American? I had the same thought about maybe just being an American cookie (although I’ve reader swears she saw an article about Russian/Eastern European roots). I think I have next year’s Christmas article laid out for me! I agree with many of above; what my English/Scots-descended grandmother after 4 generations of family in Indiana called Mexican wedding cakes were identical, or nearly, to what my wife’s grandmother made under the alias Russian tea cakes, from a recipe handed down in Minnesota from her Swedish forebears. Generally, the cognate recipes I have seen in US use pecans, but the recipe clearly depends on an adaptable base of flour/ sugar/butter, with additions as desired and as available. We live half time in SE Spain, where pecans are hard to find, though internationalization is slowly changing that as well. Pecans are not widely known in Spain, and we have, over 12-15 years of traveling there, developed a fan club of sorts for the “pasteles rusos” we would bring for friends. Now that we have an apartment with oven we have been able to produce them locally and even had our neighbor on same floor over to work with us making a batch. She also tried the base recipe with walnuts (much more readily available throughout Spain), but said the pecan version was better. I would bet you could enjoy them in Italy if you have access to an oven, though I don’t know if pecans will be any easier to find in Italy. A couple thing about the recipe you published: if using salted butter, I would leave out the salt listed on NPR. The dough can be combined with all except nuts, beating each edition well into others, but leave it as a loose collection of clumps and particles of dough and then add the nuts and combine all into a solid mass. If too soft and sticky when rolling the balls, slowly add a few tablespoons of flour to the dough, combine one at a time, till the balls are easily detached from your fingers without leaving sticky dough-bits. Finally, oven temp can be adjusted, for example, we use 350 deg F, for 20-22 min, looking for light browning on base when you tip the cookie up. Good point about the butter- I only buy unsalted, so it’s true that it could become too salty with salted butter *and* salt. Thanks for reading and sharing your comments. My family has always made Butter Balls with pecans for Christmas too. You have to be patient with the mix when forming the balls, as you do have to warm the butter to get the mass to hold together. But well worth the time! I have Swedish ancestry on my mother’s mother’s side. Both sets of GrGr Grandparents came over to the US from Sweden in the late 1800s. I am guessing this is where our recipe comes from. with teachers is already making me feel better and more prepared to successfully advocate for my 6 year old. One meeting down and 14 more years of meeting to go with both my children! Thank you for writing, and good luck with the meeting!